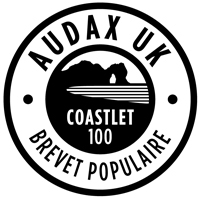 The Coastlet is a shorter � but still tough � 100km partner to the Dorset Coast 200. Visiting Lulworth Cove, Weymouth seafront, and the village of Abbotsbury before climbing over Hardy Monument hill to Dorchester. Sign up to enjoy some of the finest scenery the Jurassic Coast has to offer on this traditional early season day out.